The Laura Kirchman Manuelidis ’63 Science and Literary Arts Endowment will support experiences for undergraduate students at the intersection of the literary arts, especially poetry, and the sciences. These experiences might include visiting speakers, performances, class events, or student work. 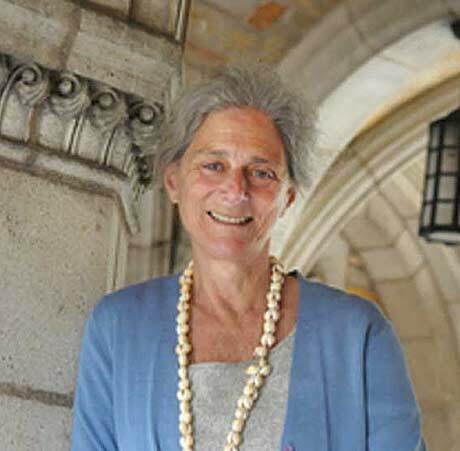 This visionary gift enhances Sarah Lawrence’s pedagogy, which has always included the crossing of disciplinary boundaries to explore topics in deeper and more expansive ways. Laura Kirchman Manuelidis is a professor and physician at Yale University, where she is head of the section of Neuropathology in the department of Surgery, and also serves as a member of the faculty of Neurosciences and Virology. She studied poetry as an undergraduate at Sarah Lawrence, received her M.D. from Yale Medical School, and has published poetry as well as scientific articles.